Just like raising furniture, there is a simple addition you can make to your toilet which will help minimise excessive bending and over balancing. Raised toilet seats are easy to fit and can be removed if no longer required, after surgery or when moving house. Which height seat do you want? In most cases, the knees and hips should be at the same height when sat on the toilet seat. A seat that is too low can be uncomfortable and more difficult to stand up from, so it’s important that you get the correct height. 1. Measure the distance between the floor and back of the thigh, just behind the knee. This is the recommended seat height. 3. The difference between the two is the measurement of raise required. Occupational Therapists normally complete this assessment to ensure the correct seat height is given. They normally come in 3 sizes; 2inch (5cm), 4inch (10cm) and 6inch (15cm). Lids are a great way to keep bacteria and smells kept within the toilet. If the toilet seat is going to be used long term, then a lid will help it blend in better within the bathroom, making them look just like a regular toilet seat. Attachments can be anything from a toilet lids to splash guards or built in arms. 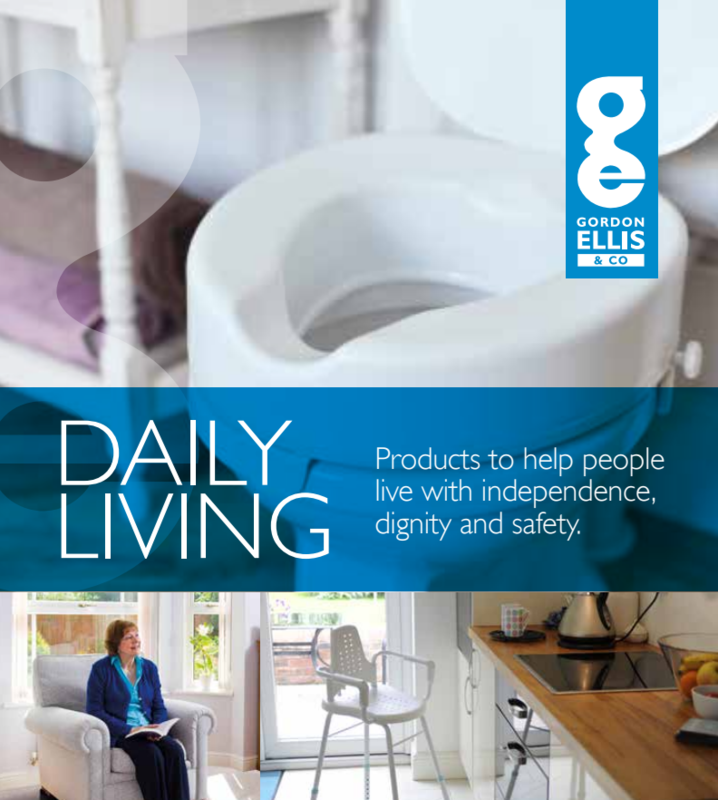 Splash guards - These help to prevent splashing and accidents which can sometimes happen when sitting to use the toilet. Built In Arms - Instead of buying a separate toilet aid, there are raised toilet seats which have built in arms to assist when rising from the toilet. Smaller aperture for children - If children are going to be using the raised toilet seat, seats with smaller apertures are available. How simple do you require fitting to be? Raised toilet seats have different brackets and fittings depending on the model. Some seats completely replace the seat and use the original fittings in the same holes on the toilet frame, others are simply installed onto the pan without removing the original seat. These are the easiest seats to fit, they have brackets which fit onto the side and the front of the seat with rubber grips that secure the raised toilet seat to the pan. This type of fitting can usually fit a wide variety of toilet shapes and sizes, but check with the model first to ensure it is the ideal fit for your toilet. Where possible you will want to go for one that has hidden fixings to minimise on bacteria and make the seat more hygienic. Some raised toilets have an adjustable front clip, this can allow the seat to be fitted to elongated and square toilet seats.